On September 5, 1870, Mr. John N. Carroll and Mary R. Carrol, his wife, “… in consideration of the sum of one dollar and for other good causes…” deeded to John H. Leaf, John Scott and Lewis I. Roberts, trustees in trust that piece or parcel of land, along the Dover Road near the line dividing “Middle Ridge” and “The Caves”, containing one acre of land. At the forth quarterly conference, held at the Hunt’s Church, February 6, 1907, a petition was offered by the members of the Hunt’s congregation requesting a division of the circuit so that Hunt’s and Stevenson Churches could be grouped together as a circuit, and Carroll’s, May’s, Gill’s and Texas could form a second circuit. One reason given for the urging this division was the distance between the two sets of churches being about five miles, with exceedingly long, steep and difficult hills to climb, taking at least one hour to get from either of the Valley Churches to anyone of those on the Ridge. In April 1907 the division was made. The Ladies Aid Society was organized in 1907 during the pastorate of Reverend A. A. Bichell. In February 1941, The Ladies Aid Society became The Woman’s Society of Christian Service. In 1960, when Reverend Carroll Yingling was minister, Pleasant Hill Methodist Church withdrew from the charge and became a station church and Reverend Yingling remained there. As a result, a new charge, Carroll’s and Gill’s Churches, was established in June 1960, with Reverend Franklin E. Smith appointed to serve. The 90th Anniversary of the original building was observed on October 1, 1961. The Reverend Ward Kemp, a former minister, was the guest speaker. In June 1963, a third church, Stevenson, was added to the Carroll’s-Gill’s charge. When it became evident that the property purchased from the Scott family in 1956 would provide insufficient room for parking facilities to meet county regulations, the property was returned to the Scott family. Negotiations were undertaken to purchase 5.28 acres of land at Kelly and Greenspring Avenues from Mr. and Mrs. J. Fred Colwill. Settlement of this property was made on November 27, 1964. In September 1966, preliminary work on a new church building was begun. On Sunday, May 28, 1967, the Cornerstone Laying Ceremony was held. The Reverend William Bishop, District Superintendent of the Baltimore Northwest District of the Methodist Church, participated in the service. Former ministers of the church also attended. The Reverend Richard L. Steadman, Jr., minister at that time, officiated at the ceremony. The last service in the old building was held on Sunday, October 8th, 1967, at 10:00 am. The first worship service in the new building was on Sunday, October 15, 1967, at 10:00 a.m. A Consecration Service in the new building was held on Sunday, November 5, 1967, at 4:00 p.m. with the Reverend William E. Bishop presiding. On February 13, 1969, the old church building was razed. This site, which is in front of the original cemetery, has been improved and has been designated as a new section of the cemetery, adjoining the old one. The new church sign was installed on the front lawn on July 26, 1969. Bricks from the chimney of the old church building were used to support the sign. 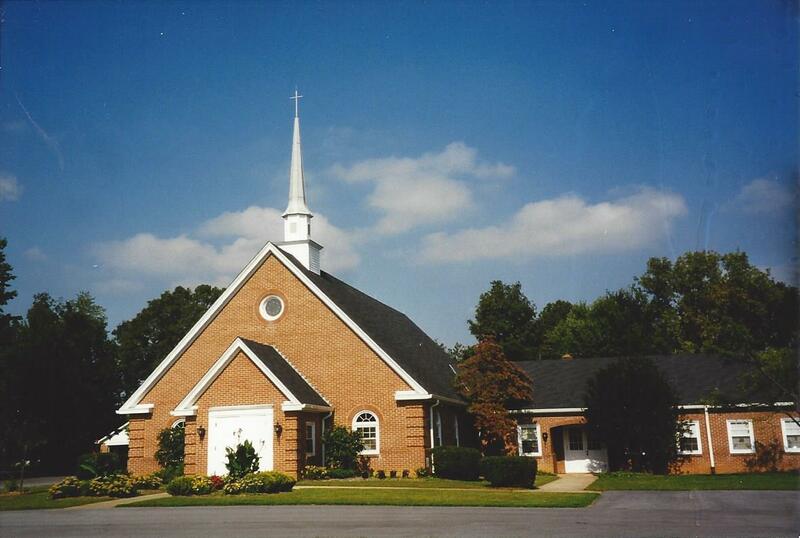 In June 1990 Gill’s United Methodist Church closed and merged with Carroll’s United Methodist Church on Greenspring Avenue to form the Carroll’s-Gill’s United Methodist Church. In June 2009, Carroll’s-Gill’s United Methodist Church closed and merged with Hunt’s Memorial United Methodist Church in Riderwood, Maryland. In September 2009, the Church of the Resurrection purchased Carroll’s-Gill’s UMC and held their first service there on October 18, 2009. The proceeds from the sale went to the Carroll’s-Gill’s Permanent Endowment Fund, which allows Hunt’s to increase its ministry and mission outreach programs, while keeping the memory of the Carroll’s and Gill’s churches alive.